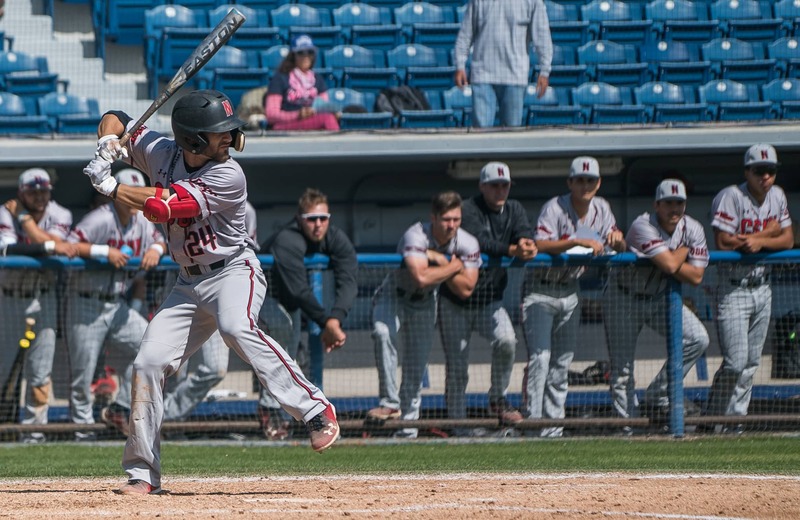 In the first game of the Valentine’s Day double header, CSUN defeated the Gonzaga Bulldogs 6-2, behind strong performances from second baseman Ryan Raslowsky and starting pitcher Jerry Keel. The first four innings were controlled by both team’s starting pitchers. Keel and Gonzaga’s Andrew Sopko kept the game even until CSUN’s Dylan Alexander’s solo home run in the bottom of the fifth inning. 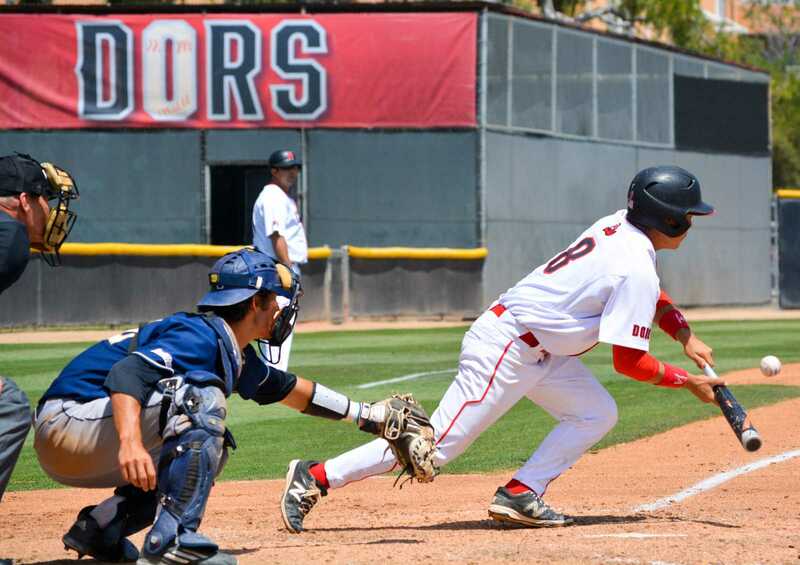 The Matadors then scored their second run in the seventh inning, but the Bulldogs would not go away. 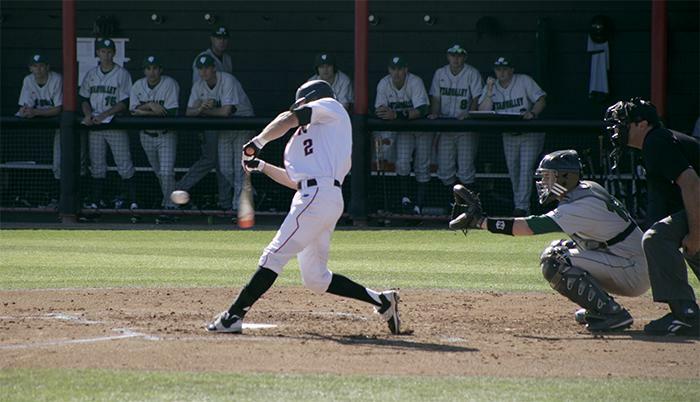 Gonzaga rallied in the top of an entertaining eighth inning, eventually tying the game at two. The Matadors then answered back with four runs of their own in the bottom, led by Raslowsky, who went 3-4 in his at bats. Keel threw a career high seven strikeouts. Through 7.2 innings, he walked one batter and gave up only two runs. This performance gives him a 2.35 era to start this season. Though Keel had a convincing performance it was relief pitcher Nick Viola who garnered his first win (1-0) of the season, leading the Matadors out of an eighth inning jam. On the other hand, Gonzaga’s relief pitcher Tyler Frost received his first loss (0-1) of the season by giving up five runs in three innings. The Bulldogs had bases loaded in the top of the ninth, but Matador’s closer Connor O’Neil closed the door on their final at bats. 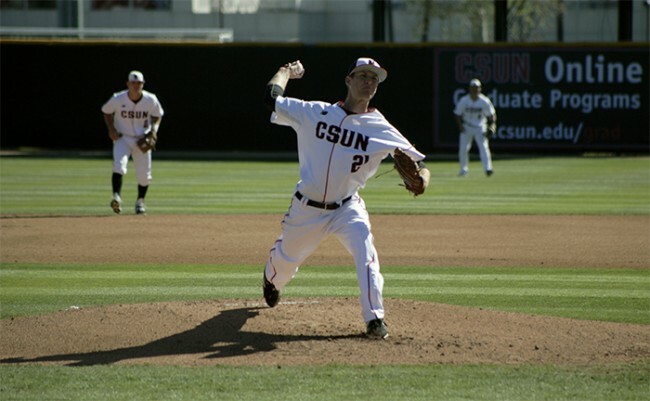 CSUN baseball is off to best start since 2002 after 6-0 win over Utah Valley. 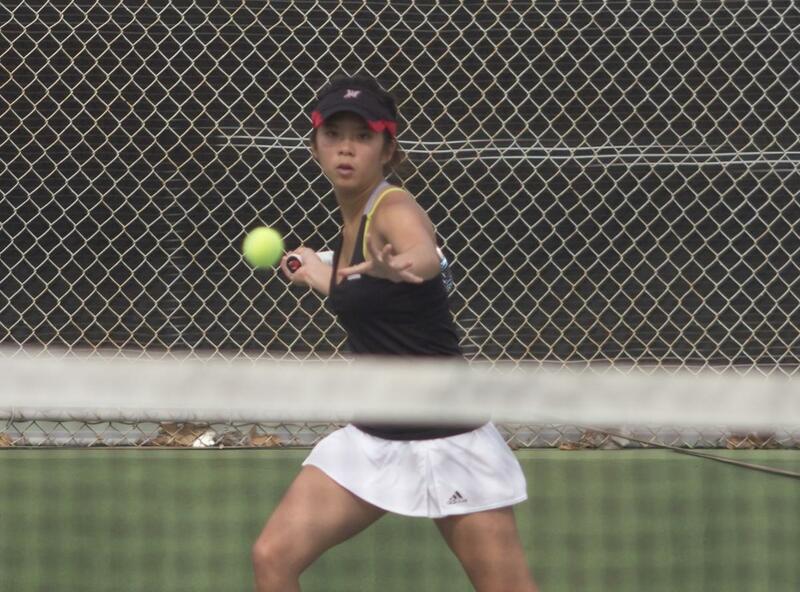 The last time the Matadors started off the season 3-0; the team ended up winning the Big West Championship in 2002. Rayne Raven picked up the win in his first career start for the Matadors, as he struck out 16 batters and didn’t allow a run in over seven innings of work. The 16 strikeouts by Raven is the most by a pitcher against Utah Valley in Division 1 history. Coach Moore thought Raven wasn’t sharp early and still believes that he didn’t have his best pitch, which is the inside fastball. The Matadors scored three runs in the bottom of the third inning, which gave them a 3-0 lead and they never looked back. William Colantono scored the first run of the inning, as the third baseman threw it over the first baseman’s head trying to throw out Raslowsky after he laid down a very well executed bunt. Yusuke Akitoshi hit a sac fly RBI to drive in Chester Pak for the second run of the inning and then Nick Blaser hit a RBI single to center field scoring Raslowsky for the third and final run of the third inning. Raslowsky and Pak combined for four hits, two runs and one RBI for the game. “Pak has been getting on base which puts me in a good spot where I can use all my tools; such as bunting and it worked out for me,” said Raslowsky, who has a batting average of .545 to start off the season. 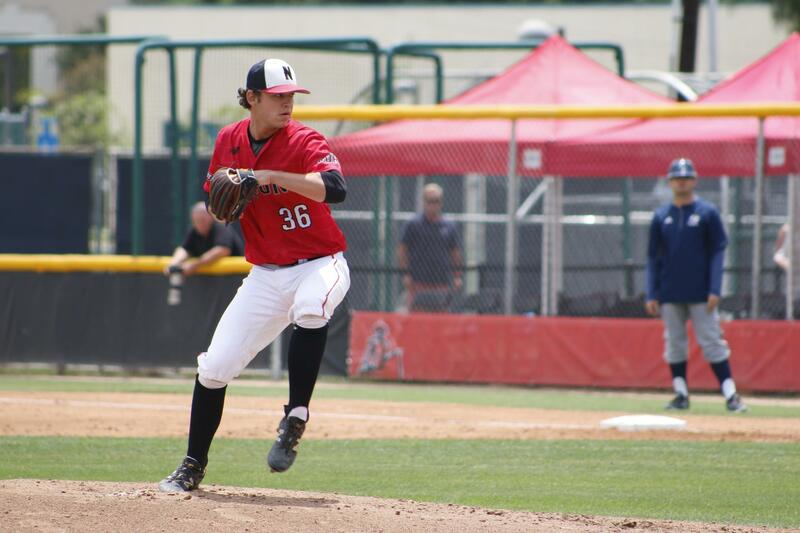 CSUN then went scoreless for three innings, until scoring one run in the bottom of the seventh on an RBI double by Pak scoring Colantono again and two more in the bottom of the eighth thanks to an RBI double by catcher Nick Murphy and an RBI single by first baseman Nolan Flashman. Utah Valley had a couple of opportunities to put some runs on the board in the top of the fifth, but Raven was able to get out of the jam by striking out the batter, as Utah left three runners stranded in the inning. Relief pitcher Louis Cohen got himself into a jam in the top of eighth after allowing two hits to start off the inning, but then he was able to get the next two batters to fly out and struck out the next batter for the third and final out of the inning. Despite the impressive 3-0 start, Coach Moore isn’t paying attention to any of that. 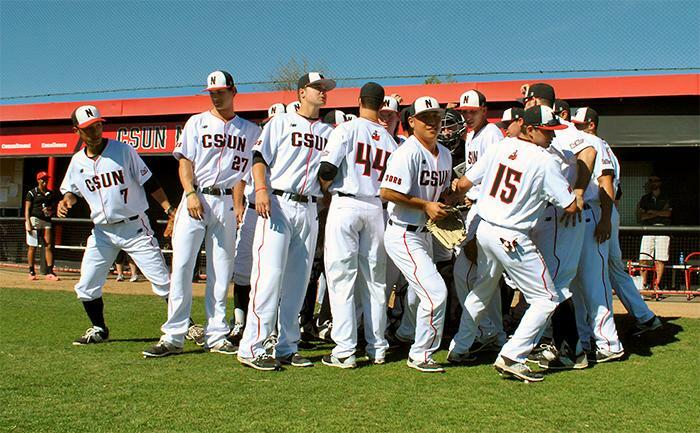 Matador baseball will return back to the diamond Sunday afternoon in the last game of a double header in the CSUN Invitational. The Matadors will host Gonzaga starting at 2 p.m. looking to go a perfect 4-0 in the tournament.